We left Bozen by a very full bus, travelling through small towns, dropping off musicians, picking up school children, and wound our way up the mountain side to Seis. Seis am Schlern is a small town of about two thousand people, most of whom seem to work in the bustling tourist industry or agriculture. It is the easiest access to the Seiser Alm and the UNESCO World Heritage Site of the Dolomites, you just take the gondola and in about eight minutes you’re in Compatsch. But that’s another post. 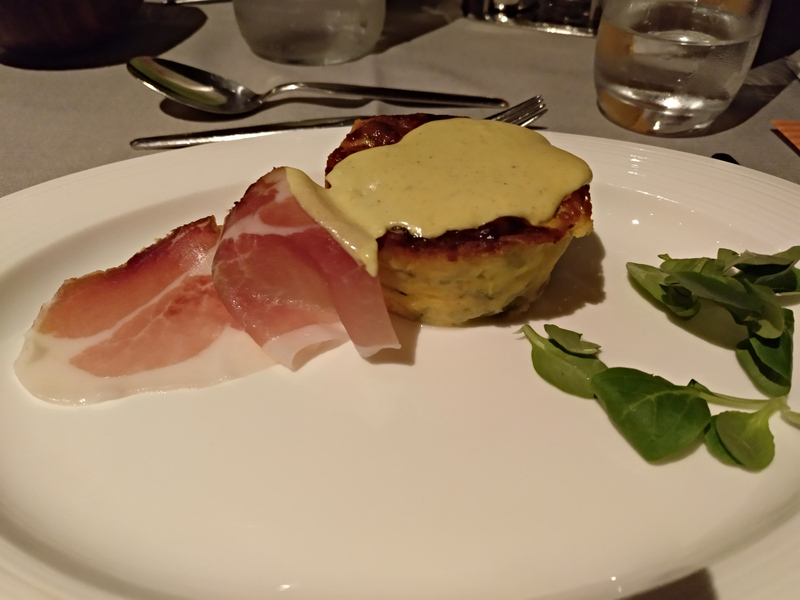 Seis is also home to the Villa Madonna, which has an amazing offer for celiacs. At the Villa Madonna, they have two seperate kitchens. They make approximately the same menu every day, but the gluten-free food comes out of one kitchen and the with-gluten food comes out of the other kitchen. At breakfast, there are two seperated buffets, and celiacs can get a nice lunch packet if they desire. The aim of the hotel is to make a safe environment for celiacs of all ages, and they have thought so much about everything, it is wonderful. Upon arrival at the Villa Madonna, one of the first questions asked is ‘who is the celiac?’, as you let them know the number of celiacs upon booking. The person checking you in will then assure you that every step has been taken for you to safely eat and enjoy your stay. You will be offered a tour of the kitchen. When you come down for dinner the first time – between 7 and 8pm – you will need to talk to a waiter first, they will find your table and instruct you on how dining operates there. It’s something like this. You will have your table for your stay. Please sit in the same seats to make it easier on the waiter. 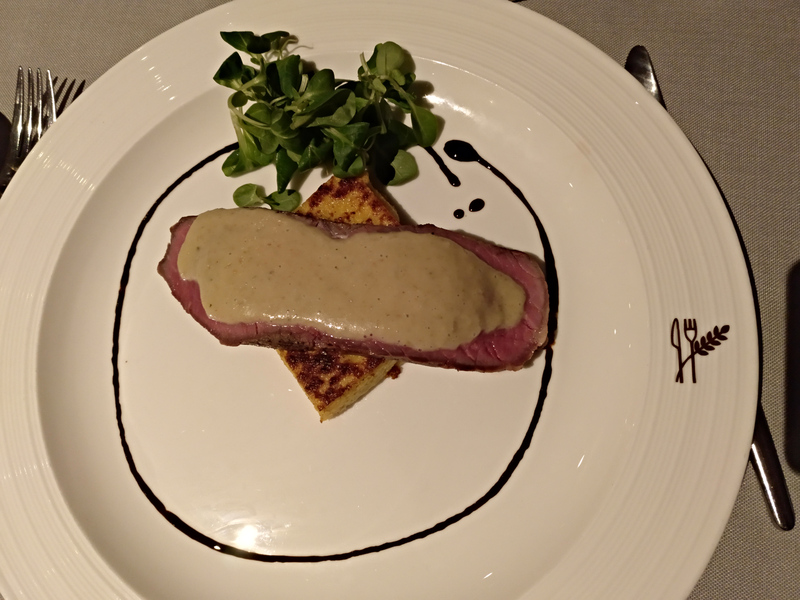 Each night there is a four course menu, two starters, a main dish and dessert, which you will choose the day before. Dinner also comes with a salad bar, which is strictly seperated – the gluten-free salad bar and the with-gluten salad bar. If you are not a celiac, you are not allowed to touch the gluten-free side. Each plate coming out of the gluten-free kitchen has a little symbol. This allows everyone to double check that the celiac is getting the safe, gluten-free food. The waiter checks and the celiac can double check when the plate is put down. 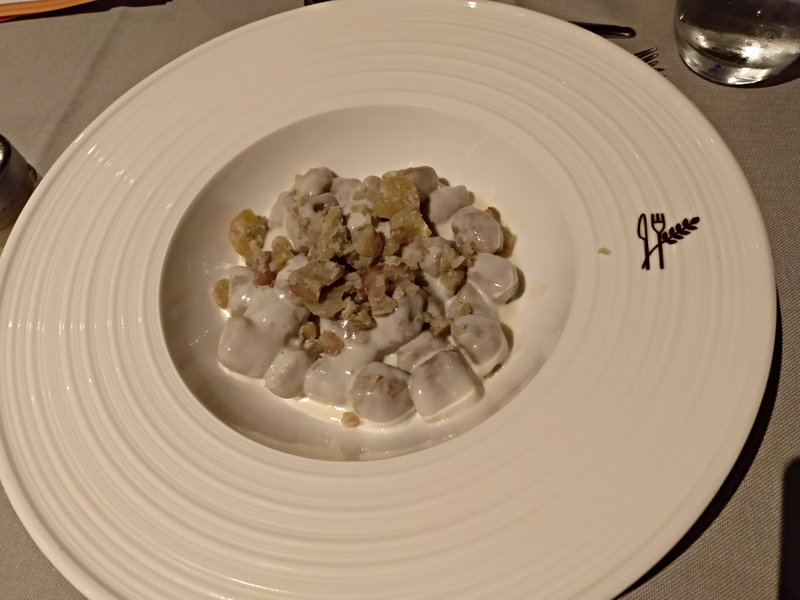 Chestnut gnocchi with a cream sauce. You can see the gluten-free symbol on the right-hand side of the plate. Is it complicated? Yes, without a doubt. There are actually even more details that I am leaving out, but you get the idea. The Villa Madonna goes to such lengths to keep celiacs safe that it was a bit overwhelming at first, but I really appreciated it. I knew that whatever I ordered, it was safe. I knew that whatever I took from the salad bar, was safe. It was a nice feeling. Here’s what the first evening meal looked like. 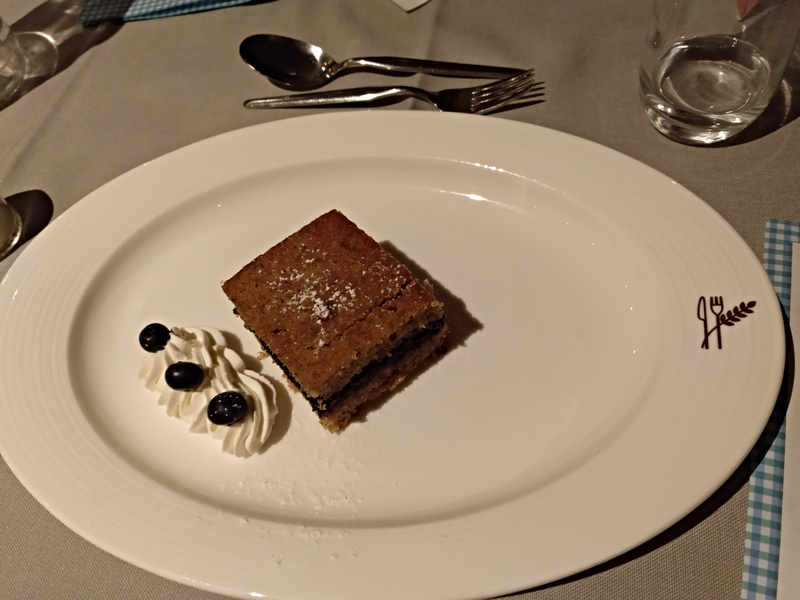 Tomorrow I will show you breakfast, the dessert buffet, as well as the ruins that we walked to.